Tom Colontonio is the latest signing to the Discover labels. 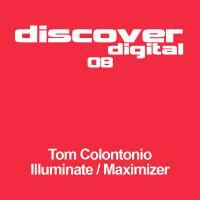 Some people love dance musicâ€¦ DJ & Producer Tom Colontonio (DjTommyboy) lives it. From an early age Tom was drawn to many different music styles, from rock to classical. But it wasn't until he received his first dose of dance music that he realized where his real passions lie. Starting as a house DJ in 1996 Tom was soon seduced by the tougher sounds of trance. Winner of the Philadelphia City Paper's 'Trance DJ of the Year' award, Tom is without one of the hottest exports from the American dance scene and his music is regularly hammered by the likes of Paul van Dyk & Tiesto. His releases on Conspiracy, Metalic and now Discover show a distict tough sound with a sharp clarity that cuts through like a knife through butter. This debut EP on Discover Digital features two exciting melodic tracks which positively stink of the trademark Discover characteristics. Big kicks, big bass lines and lush pluck melodies. 'lluminate' is available now from Beatport and iTunes.